For 38 years, the Greater Jacksonville Kingfish Tournament & Festival has relied on an army of volunteers to plan, organize, implement, staff and operate what has become the largest single-species fishing tournament in the Southeast. No, it didn't happen overnight and it's no coincidence that this is the largest Kingfish tournament in the Greater Jacksonville area. It's a tribute to the hard work and dedication of our volunteers, the "heart and soul" of the tournament. Jacksonville Marine Charities, Inc, is the 501(c)3 non-profit behind the GJKT. We are committed to providing an outstanding fishing tournament, the GJKT. Through the success of the GJKT, JMC utilizes the proceeds to support marine science research, preservation and education. We depend on volunteer support to make it all happen! Whether a member of the Board, Operating Committee or a general volunteer each individual stands equally as a major contributor to the success of the event. 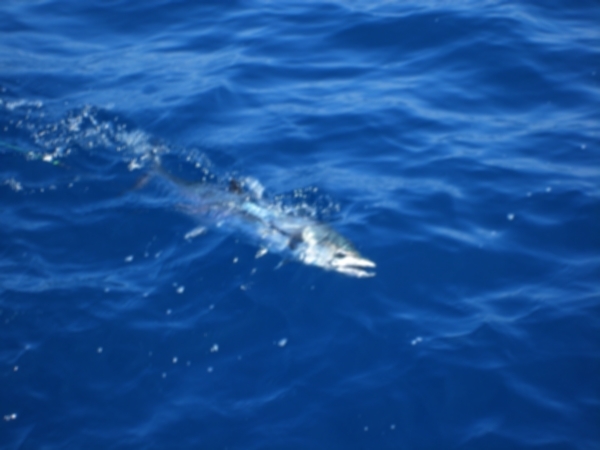 The Greater Jacksonville Kingfish tournament NEEDS YOU! After months of Operating Committee meetings throughout the year to plan and organize, volunteer numbers can increase to as many as 200 during tournament week. Volunteers register anglers, stuff Captain's Bags, stock and sell beverages, wash and set-up tables and chairs, solicit for prizes, sell and count tokens, tote bags of ice, carry fish, hang banners and signs, prepare the tournament site, operate water taxis, account for boats at Check-in/Check-out, maintain communications with anglers, breakdown the site after the tournament, and award lots of prizes! Most of our volunteers work full time jobs or are full time students. Others work part time or may be retired. For some, the 39th year of the Tournament will be their rookie season. While others will mark this 39th Anniversary as a veteran with more than 1, 5, 10, 20 or yes – 39 years! All our volunteers bring with them a sense of willingness to serve their community with an emphasis on having fun! When you volunteer for the GJKT you make a positive impact on our community in a fun and energetic atmosphere. THANK YOU, VOLUNTEERS! CLICK HERE for 2019 volunteer sign up form. CLICK HERE for information on the Walt Murr Award, the annual Volunteer of the Year award, named for the GJKT's first Executive Director.